« Can Ethiopia and Eritrea Make Peace? 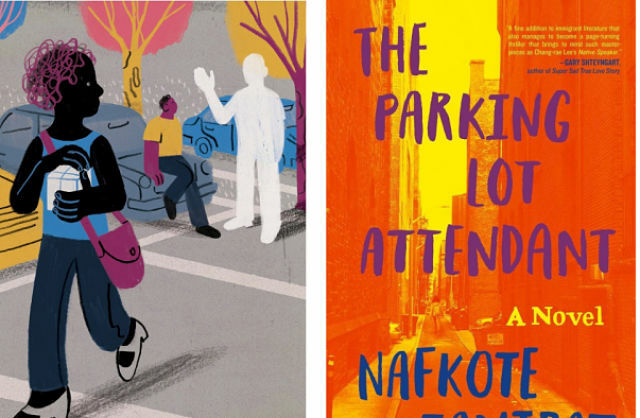 At the start of Nafkote Tamirat’s debut novel, “The Parking Lot Attendant,” the narrator — a 17-year-old girl who is never named — has recently arrived with her father on the remote subtropical island of B—, where they’ve found uneasy refuge in a commune. They’ve fled some unspecified trouble in Boston, but the trouble seems to have followed them. The girl is more or less a pariah. She’s miserable and ill at ease, which seems reasonable under the circumstances. The commune’s managerial arrangements can only be described as sinister. The colonists, as they call themselves, live by rigid rules set out by a group of anonymous leaders. The only book allowed is the Bible, in Amharic. (Fortunately, the narrator is fluent; although she was born in the United States, her parents emigrated from Ethiopia.) The commune on B— is by no means a permanent settlement; the colonists are preparing for a move to a promised land in Africa. They live in limbo and in a state of ever-increasing tension. From here, Tamirat takes us back to the narrator’s life in Boston. If the girl had friends before she met Ayale, the titular parking lot attendant, they’re not mentioned. Although she dabbled in theater, her focus on school was otherwise absolute. She was raised by her parents, but never both at the same time: Her father walked out while her mother was pregnant, and didn’t return for six years. When he reappeared, her mother promptly abandoned her, and after that the narrator grew up in her father’s basement apartment.